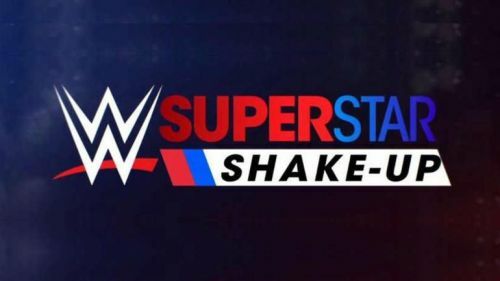 Superstar Shakeup is finally over and it has been a rather interesting two days of the event. Not only have we seen some top names switch brands, but also some highly entertaining Superstars have been called up from NXT. One of those call-ups were the NXT Tag Team Champions, War Raider, who are being called The Viking Experience since they made their main roster debut. While there has been a huge uproar about their names being changed, the good news is that they might be in line for a push soon. Rowe and Hanson, have been part of major companies like NJPW and ROH before finally joining WWE in 2018 as part of NXT. It did not take the two giants to make a mark for themselves on the yellow brand and they were successful in winning the NXT Tag Team Championships at NXT Takeover: Phoenix by defeating The Undisputed Era. It is rather strange that WWE has decided to call-up a team that is already holding Championships in NXT, but maybe we will soon be getting a Champions vs Champions match. As per Cagesideseats.com, The Viking Experience are likely to be in for a big push right away, possibly including a tag team title shot at Zack Ryder & Curt Hawkins soon. While Hawkins and Ryder are fan-favorites, it is clear that they will not be Champions for long, as their Championship victory seems more to do with comic factor than actually having them be treated as legit Top Superstars. With The Viking Experience getting a victory over Ryder and Hawkins in their very first match on RAW, it is clear that the Vikings will stop at nothing till they are able to capture the RAW Tag Team Championships.